Sometimes trying on clothes at the store just isn’t in the cards. In fact, I recommend trying on items at home instead. No one likes bad lighting or pushy sales people. Am I right? So how to know if the items you are picking up to take home will fit? Well, when it comes to pants, try this simple trick called “The Neck Test” to see if your pants will fit when you put them on. Place the waistline of the jeans around your neck. If the waistline comfortably meets at the back of your neck, then the pants will fit. ARE YOU READY TO OVERHAUL YOUR STYLE? 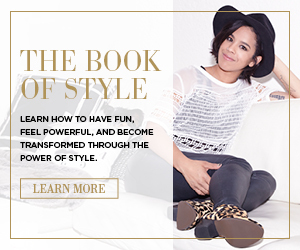 "Dress Right for Your Body Type FREE eBook" and score FREE style tips and tricks delivered straight to your inbox.